1 John 3:16-18 By this we know love of God, because He laid down His life for us. 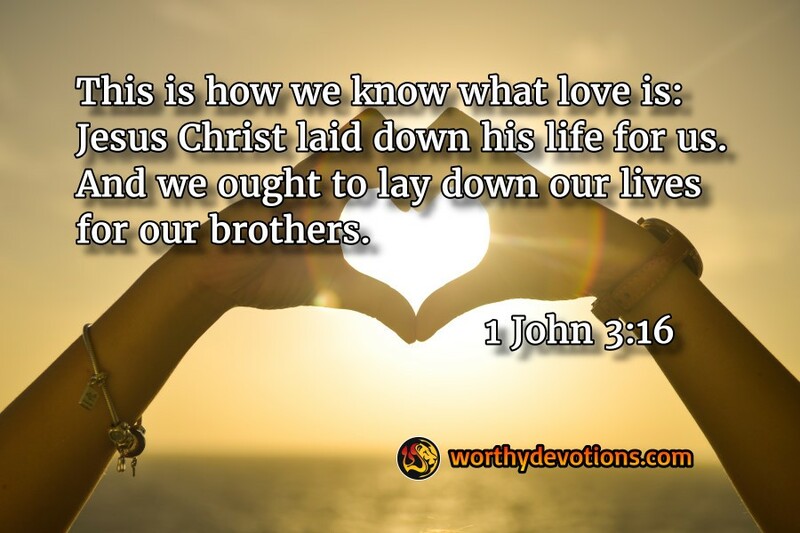 And we also ought to lay down our lives for the brethren. But whoever has this world's goods, and sees his brother in need, and shuts up his heart from him, how does the love of God abide in him? My little children, let us not love in word or in tongue, but in deed and in truth. In Israel, we have an interesting geographical phenomenon – there are two landlocked seas. One is alive and one is dead. The sea full of life is the Kinneret, better known as the Sea of Galilee. The dead sea is.......you guessed it, the Dead Sea. Now the Kinneret is constantly emptying as it flows through the Jordan River valley.... into the Dead Sea. But the Dead Sea does not empty its water at all. Instead, the Dead Sea is continually shrinking, because the intense heat at this lowest place on Earth actually evaporates more water than is flowing in. Do you see a parable here? Let's be givers. Let's be lovers. Empty ourselves into His Kingdom, into His work, and be constantly refilled with His love, power and peace. With so much work to be done, I'm choosing the Sea of Life! Wow... Thank you for these priceless devotional briefs.... Ever so true... Give and it shall be given unto you, pressed down, good measures and running over... This is how God Multiplies... We cannot truly comprehend it. One would think that when you pour out yourself and truly spent you are done, finished...not so in the Kingdom of God. In the Kingdom of God... The King himself Strenghtens and Restore us.... Praise his holy name.